Where We Train | Join us. 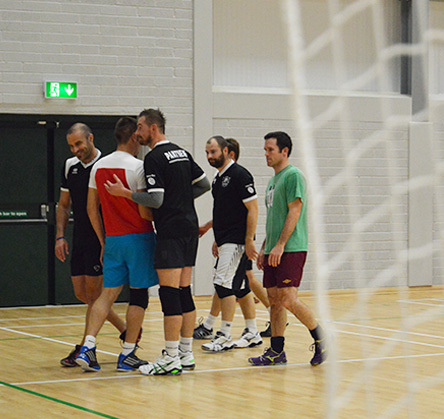 Volleyball Club - Bournemouth & Poole. 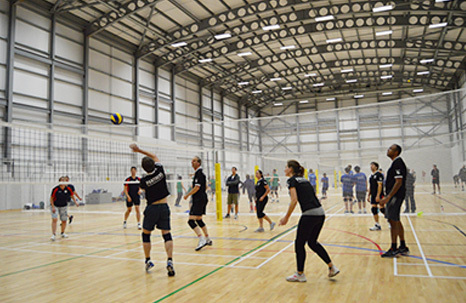 The LeAF Academy has an extensive range of state of the art sports facilities. The new hall measures 27m by 60m with a 13m high roof, meaning it is able to host international events for a variety of different sports. Free parking is available outside of Oakmead School and access to the sports hall is at the back end of the school. We train every Monday, 8:30-10pm. During training we have access to 4 courts. Court 1 is allocated to our top level players. Courts 2 & 3 are used as general practice courts with drills and matches and court 4 is for our novice players. We also use this court for training for our Ladies tournaments, lowering the net to standards. Our training sessions see 3 clubs combine; Panthers, Spike Monkeys and Sandbanks. Our combined sessions help us to develop by allowing us to play against other players at a similar level. © Poole Panthers Volleyball Club.